Titan Plant Hire carry an unrivalled range of concrete batching plants, capable of meeting the most demanding of jobs and used extensively across the UK, Middle East and Latin America on flagship construction projects. 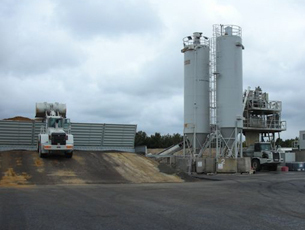 The advantages of selecting from our range of concrete batching plant is that they eliminate the problems of inefficiency, minimise the risk of waste and therefore of loss of profits, allow concrete to be mixed to exact specifications so no rejection of the final product, prevent over or under-supply of concrete, incur no delivery delays and on site time wastage, plus pose no risk of the concrete being too wet or too dry. Our plant is available with or without trained operatives, and can be supplied with or without onsite installation.Our batching plants can also be provided with calibrated on-site laboratory support facilities and qualified laboratory technicians where required. Titan Plant Hire can provide large capacity heavy-duty articulated dump trucks to facilitate the transfer of concrete from batching plant to worksite quickly and efficiently. Our dump trucks offer a large load capacity in all weight class categories. The unique advantages of our fleet’s permanent six-wheel drive, free-swinging rear tandem articulation hinge system, independent front wheel suspension system and sloping rear frame provide excellent driving stability with equal weight distribution and wheel power. 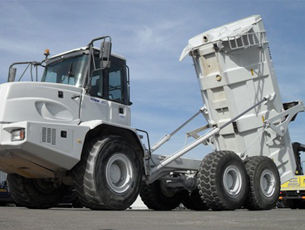 Our articulated dump trucks are designed to work under rough conditions and can also travel at speeds up to 31 mph. We can provide them with or without CPCS operatives. 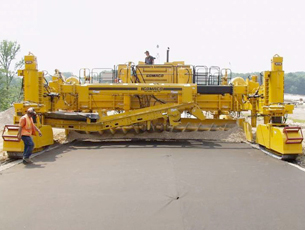 Titan Plant Hire carries an unrivalled selection of Gomaco-branded Slipform paving machinery in both two and four-track configurations, providing a flexible solution for all sizes, locations and specific demands of projects in the aviation, infrastructure, highway, urban transit, logistics, waste management and rail sectors. Our portfolio includes all pavers in the GP, GT, GHP and Commander ranges, and we have supplied to flagship projects worldwide. Our paving line has the latest technology and versatility to pave widths up to 50 ft. (15.2 m) and paving depths up to 19 in. (483 mm), covering a wide range of paving projects. 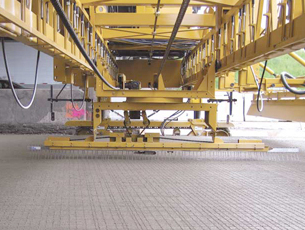 Our slipform pavers will meet the strictest specifications and provide the rideability requirements that are essential today. 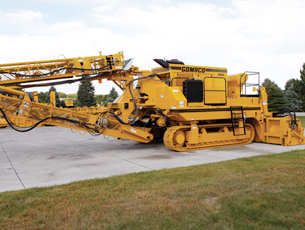 Titan Plant Hire is able to provide the full range of Gomaco-branded trimmer and/ or placer machines, providing a solution for all sizes, locations and specific demands of projects in the aviation, infrastructure, highway, urban transit, logistics, waste management and rail sectors. Options of rubber or conventional-tracked equipment and ‘stringless’ technology are available. We also have the full range of ancillary equipment, fittings and accessories. We have supplied paving plant to flagship construction projects worldwide, both to our sister organisations ‘Gill Civil Engineering Limited’ and ‘Gulf Slipform Paving Limited’ and to major contractors. Titan Plant Hire is able to provide the full range of Gomaco-branded spreader and/ or placer machines, providing a solution for all sizes, locations and specific demands of projects in the aviation, infrastructure, highway, urban transit, logistics, waste management and rail sectors. Options of rubber or conventional-tracked equipment and ‘stringless’ technology are available. We also have the full range of ancillary equipment, fittings and accessories. Our placer/spreaders are designed to place and spread material up to 50 ft. (15.2 m) wide with minimum side clearance on both sides of the machine. We have placer/spreaders designed for both end dump trucks and ready-mix trucks for various applications, including those requiring the placement of mesh reinforcement. Titan Plant Hire is able to offer versatile texturing and curing machines equipped with crawler tracks or flotation tyres. 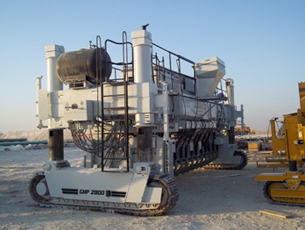 These machines increase efficiency on any project where the surface of the concrete requires texturing and the application of curing compound. We provide a bespoke solution for all sizes, locations and specific demands of projects in the aviation, infrastructure, highway, urban transit, logistics, waste management and rail sectors. We also have the full range of ancillary equipment, fittings and accessories. Our machines can be adjusted from 12ft to 56ft widths. Titan Plant Hire is able to offer a selection of concrete mixer vehicles to full road legal specification, which are also ideal for internal transportation of concrete within large construction sites in support of hand laid paving operations. 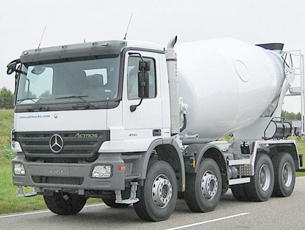 Our mixer trucks can be provided with or without CPCS / Driving Licence operatives.